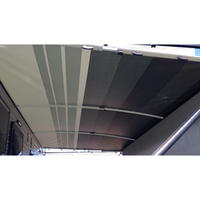 A caravan that has taken you and your family through years of fun-filled camping trips, deserves a little pampering in the off-season. 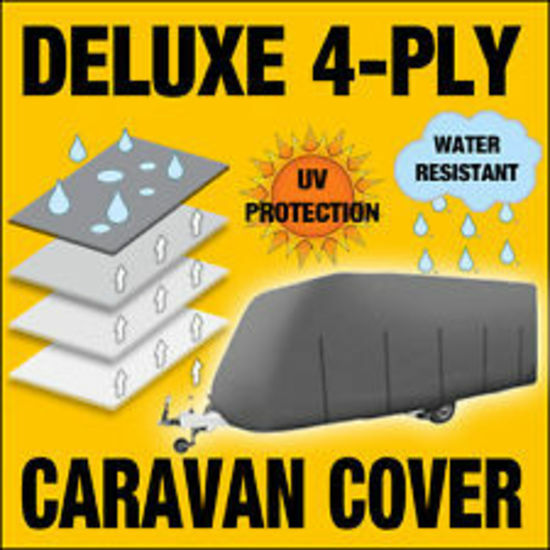 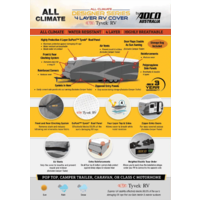 With an ADCO caravan cover, you can keep it safe from extreme UV, rain, snow and wind for years on end. 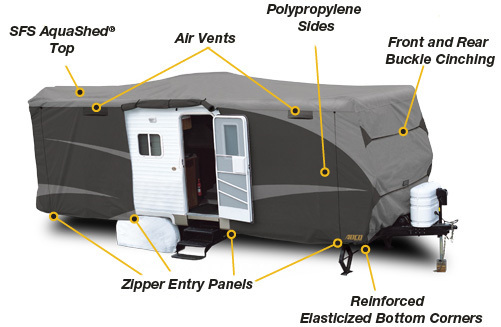 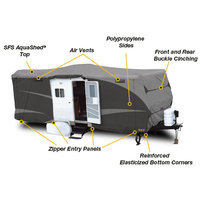 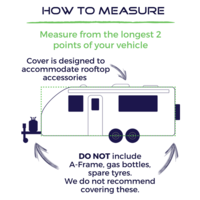 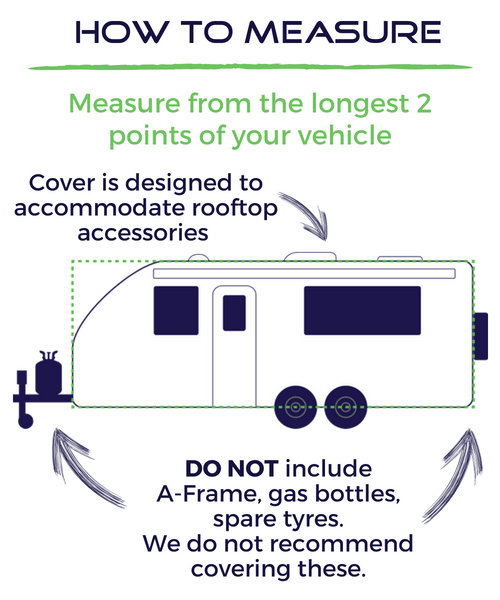 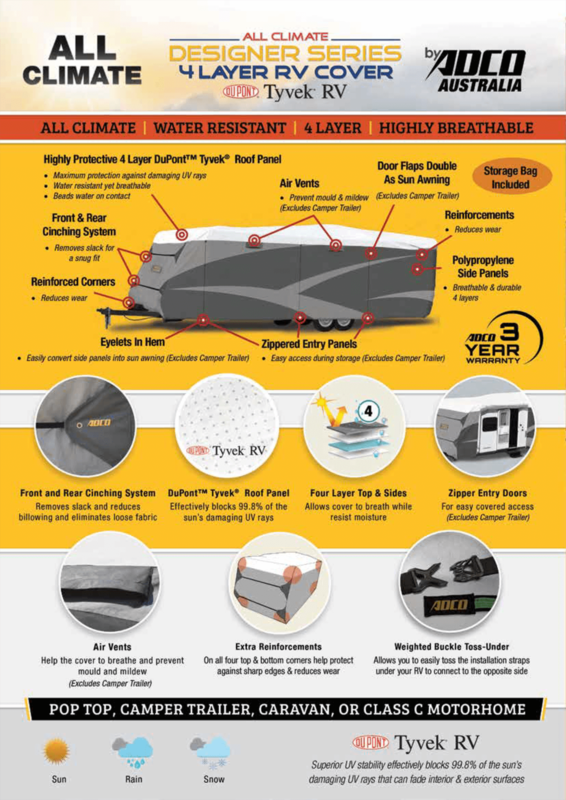 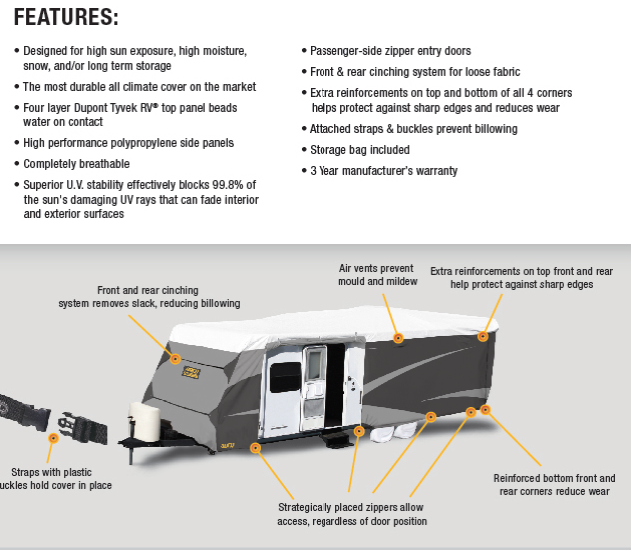 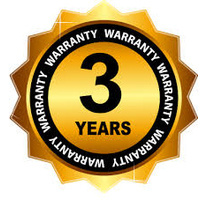 The durable caravan cover brings a host of benefits to the equation. 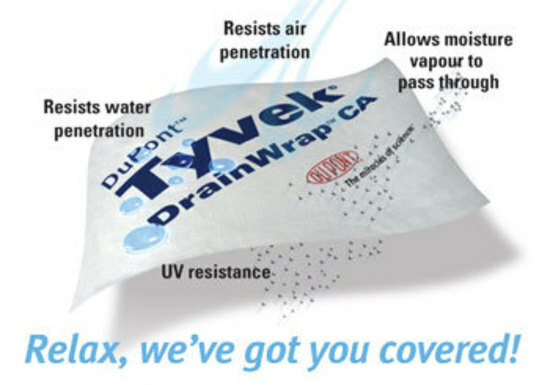 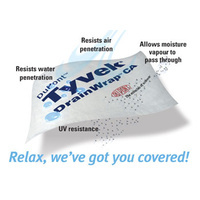 Its 4-layered, thick Dupont Tyvek roof panel beads any water that falls on it, and also blocking 99.8% of harmful UV rays. 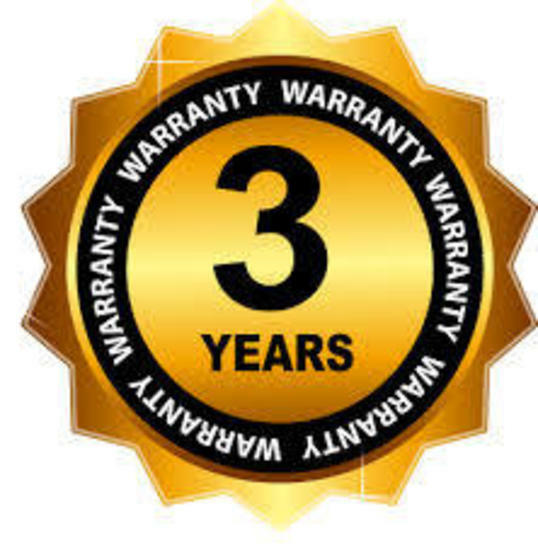 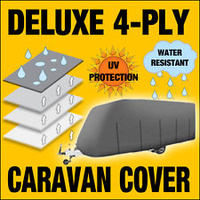 This is backed up by polypropylene side panels that are breathable to allow for air circulation and prevent mould and mildew from damaging your caravan over the course of a lengthy off-season. 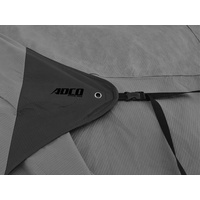 This ADCO caravan cover is specifically designed for caravans measuring 14-16ft in length, and fits snugly over your caravan thanks to its strategically located straps, and buckle cinching systems. 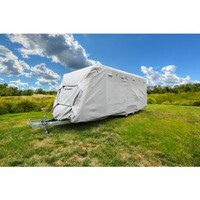 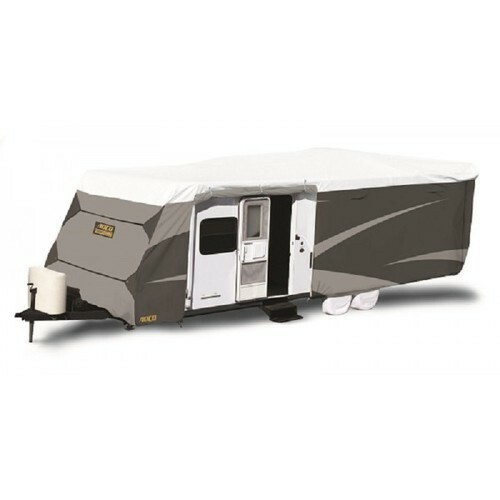 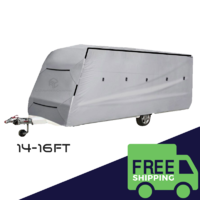 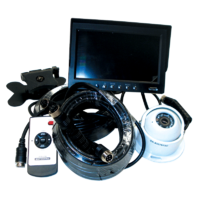 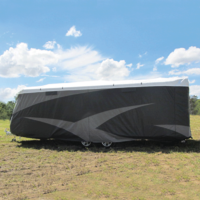 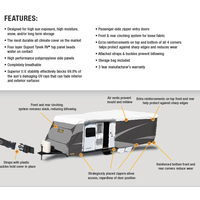 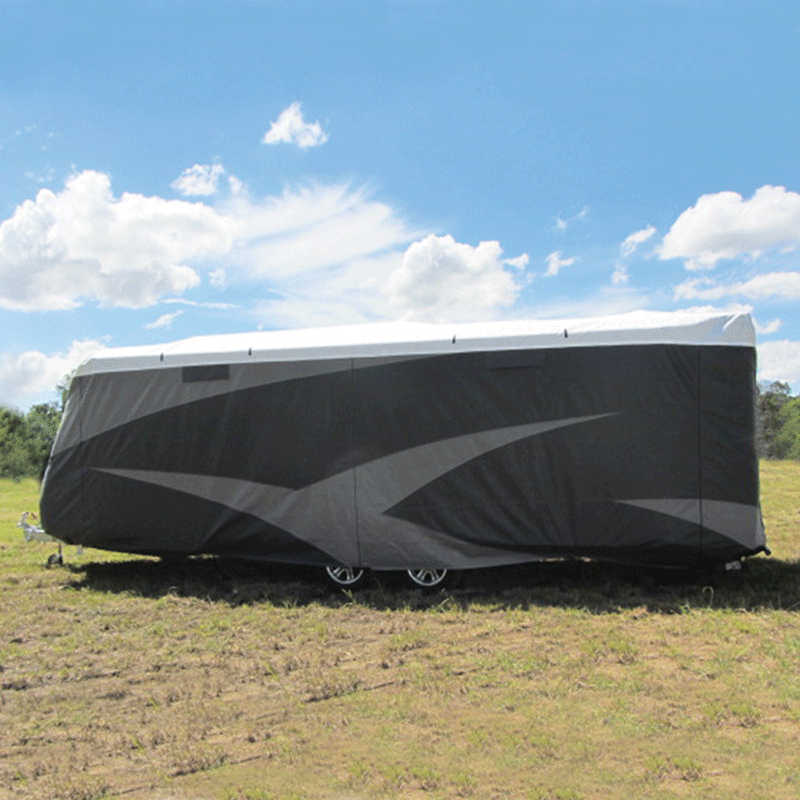 The cover features extra reinforcements at the top and bottom corners for added durability, and also allows you access into your caravan through zippered doors provided on the side panels. 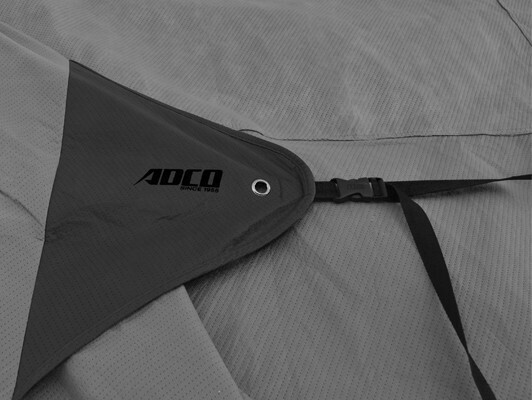 Featuring the classic ADCO aesthetic, the caravan cover is supplied with a storage bag and is covered by a 3 year manufacturer’s warranty.